Important dates and occasions are often marked with a variety of celebrations and festivals. These occasions are also important markers for children in the passing of time and repeated experience. 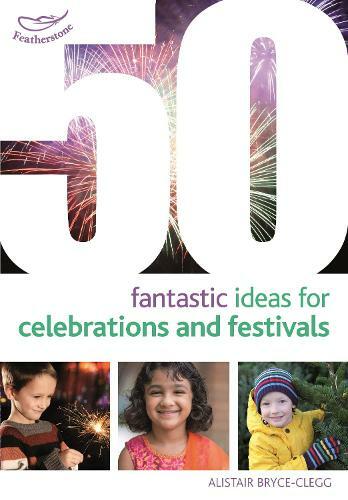 In Early Years education the best time to talk about a celebration or festival is often after it has occurred rather than before it happens. This is because many young children don't have a strong memory or understanding of something that occurred a year ago. So the closer they are to the experience, the richer their learning can be. In this colourful new book by Alistair Bryce-Clegg there are activities that cover: Christmas Diwali Easter Hanukkah Chinese New Year Halloween Bonfire Night Each activity encourages the children to learn about a particular celebration or festival and also to acquire new skills or techniques. Each of these skills and techniques can be taught on their own, or linked to other activity ideas that you (or the children) might have. The list of celebrations and festivals that are covered is by no means exhaustive, but the activities are flexible enough to allow practitioners to keep their core content and apply a different theme. They are limited only by your imagination...!